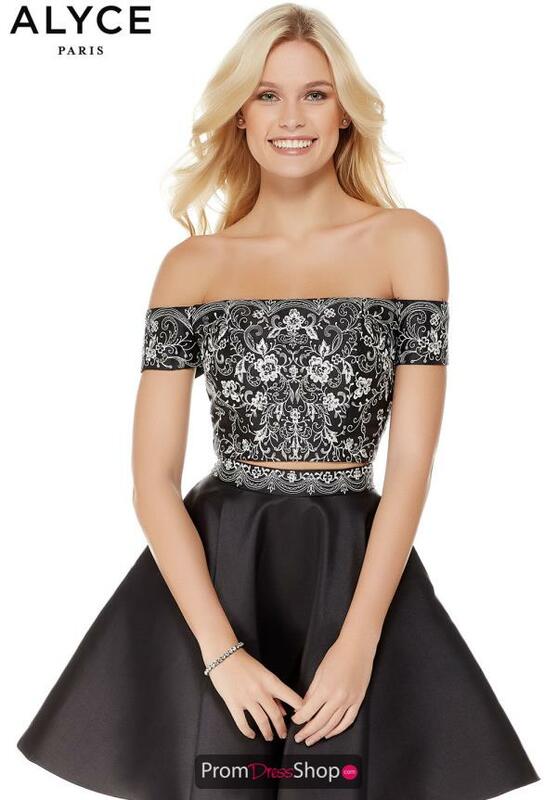 Make a bold fashion statement and rock this Alyce Paris two piece style 3776 for your homecoming. The gorgeous crop has an off the shoulder neckline and cap sleeves, all embellished with beautiful floral embroidery. The skirt has a thin embroidered belt to tie in the designs from the top before flowing out into a shimmery Mikado A-line silhouette.